In 1803, President Thomas Jefferson purchased the territory of Louisiana from the French government for $15 million. The Louisiana purchased reached from the Mississippi River to the Rocky Mountains and from Canada to New Orleans, and it doubled the size of the United States. Then in 1845, a journalist named John O' Sullivan spread the idea that influenced many pioneers toward the western frontier. He argued that it was Americans' "manifest destiny" to possess the whole of the continent. Manifest means clear or obvious to the mind. Destiny means events that will happen. What manifest destiny meant was that it was the United States destiny to take power of the whole land. Wagons! Wagons! Wagons! 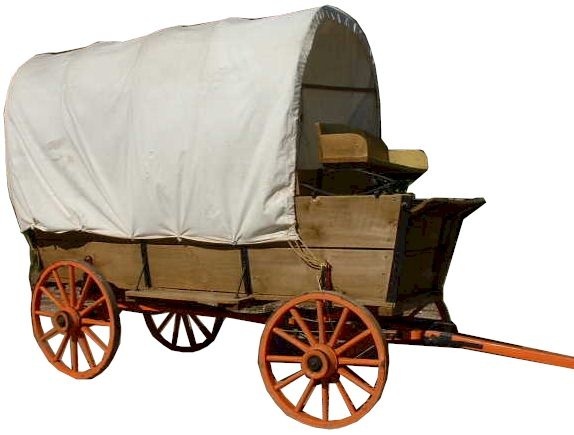 These wagons are cheap and will last you very long! It's a once in a lifetime opportunity! So buy your wagons before it's too late!!! 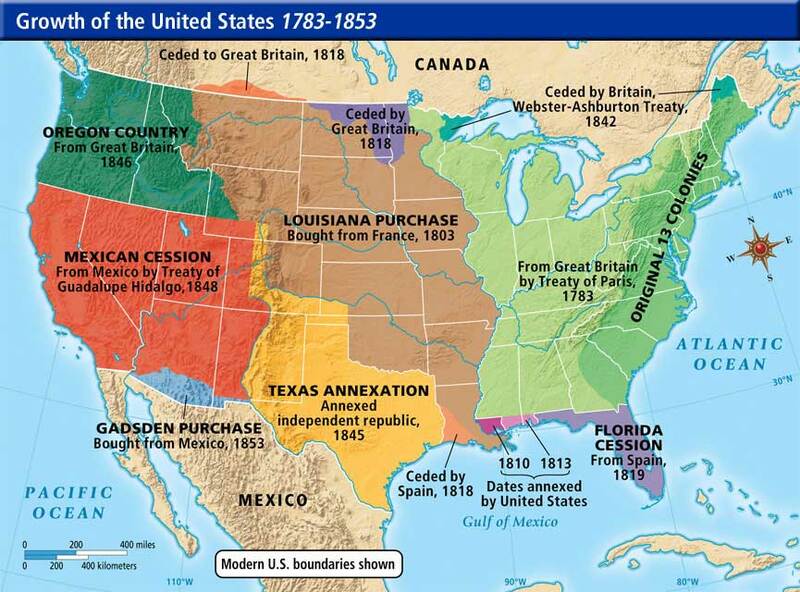 This is a map of the growth of the U.S. from the years 1783-1853. "Our manifest destiny [is] to . . . possess the whole of the continent."